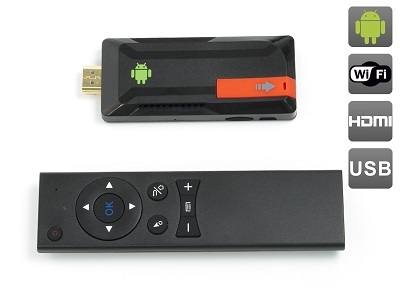 Smart TV Kit SK809IV (MK809IV Android stick + Airmouse + HDMI extension cable). Change your TV to Smart TV easily. Following customer's requests we have make Smart TV Kit that alouds you to upgrade any normal TV to Smart TV easily. Add SK809IV kit to you waterproof AVEL TV and make it SMART easily!